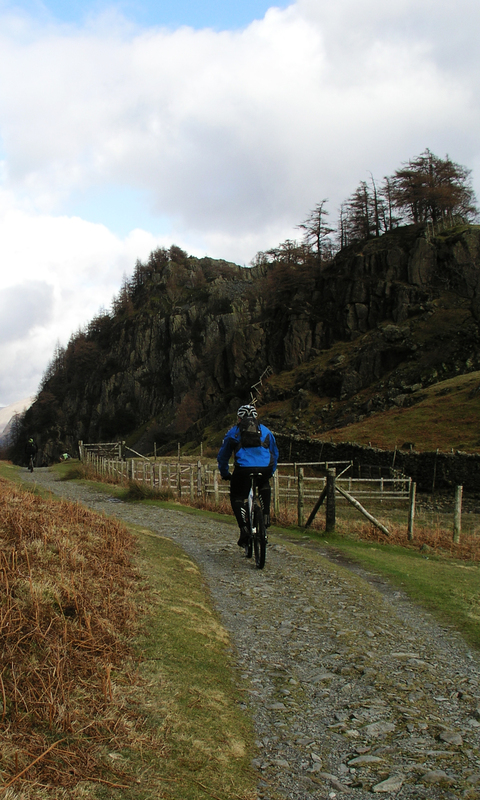 The fells and trails around Coniston Water in the Lake District is a one of my favourite places to ride. 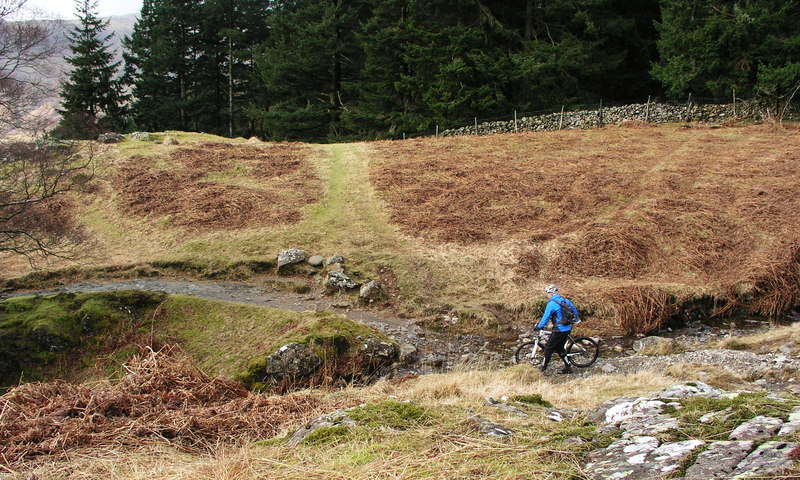 These rides can take in the trails of Grizedale on one side of Coniston Water and the excellent Walna Scar Road on the other. 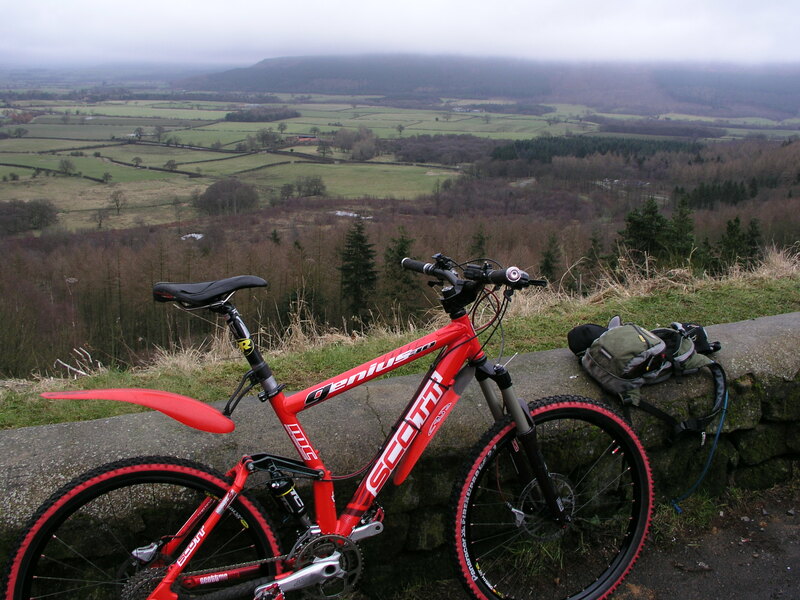 A trip and an overnight stay nearby to complete 2 rides would make a great weekend of mountain biking heaven. 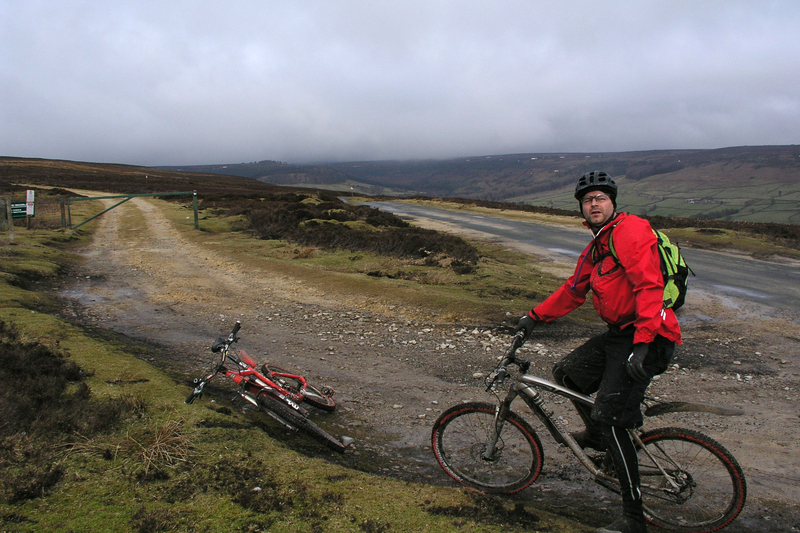 I’ve yet to ride any trails in the Peak District, to make the journey worthwhile I’ve listed a small collection of routes to complete over 2 days. 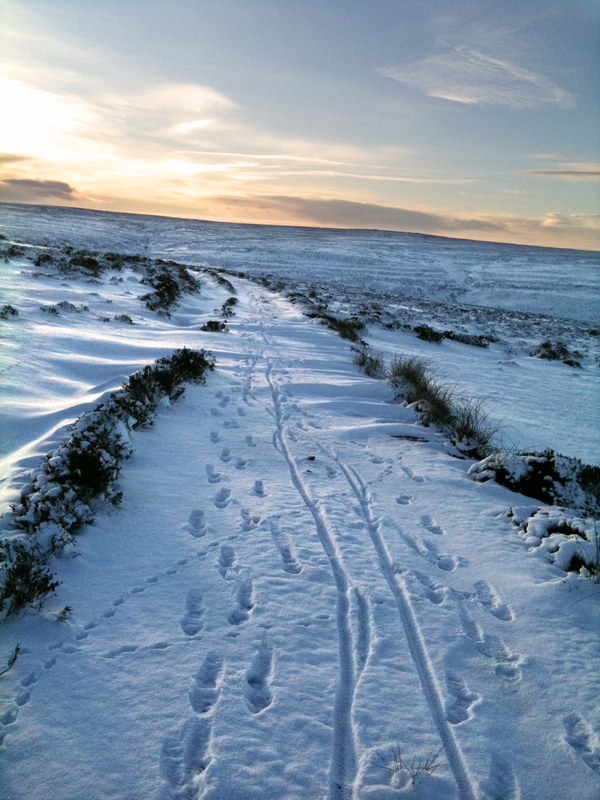 Taken from the excellent guided collection of mountain bike rides Beyond Hamsterley, http://www.beyond-hamsterley.co.uk/ these rides can be considered local meaning around 45mins – 1 hour journey time from Washington and not excessively long. 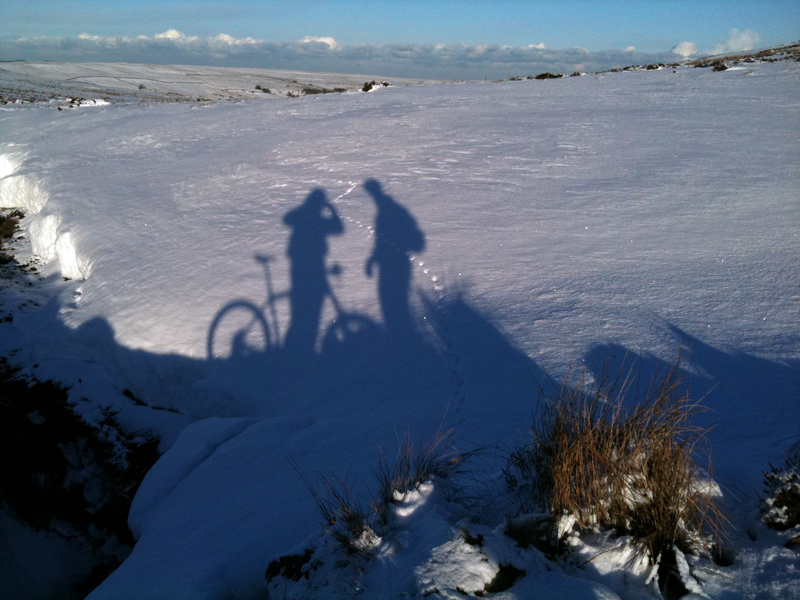 Can be an alternative to the Lakes or Dales or other planned ride should the weather in those areas turn unfavourable i.e. high winds and heavy rain that is likely to detract from the very purpose of being out with is to explore and have a lot of fun rather than a survival exercise. After the last two instalments we had eyes on the weather for the whole week prior to going to Borrowdale. It’s when you go to the Lake District that you always put more hip swing into your sun dance just praying the sun will shine so you can take in the views that a good Lakeland ride brings as standard, though the weather is always unpredictable. For me Keswick stands out as the wettest place on earth, I just imagine rain whenever I think of Keswick. So Thursday was a gorgeous bright clean day and already Craig and I were thinking this could be a good for the weekend. Friday was scheduled to rain but then turn around again for some sunny spells on Saturday for the ride. We remained hopeful. Saturday morning came with and overload of wetness and dullness that we had not really counted on. Was this going to be another character building ride that would test our resolve? Another one like the last two would have been hard to bare. I would have seriously considered going back to fair weather rides like the Jessie I was. 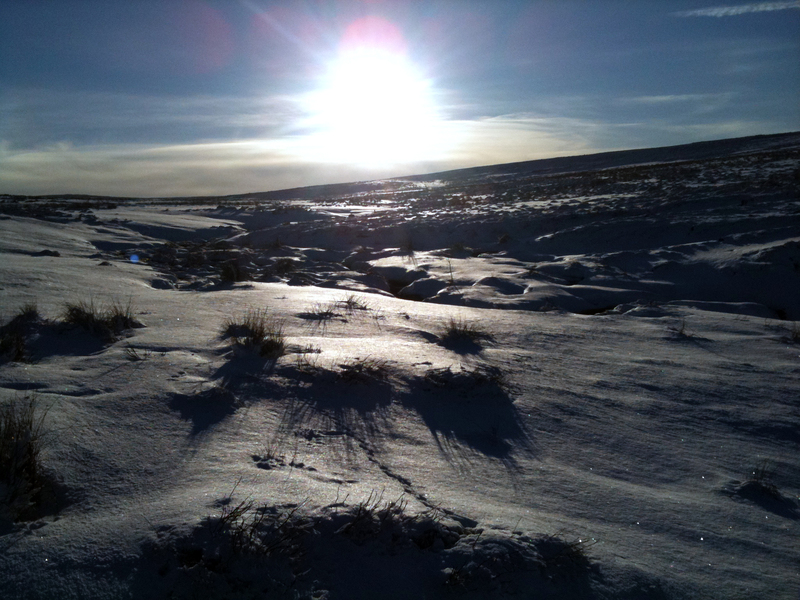 But it’s always worth remembering that if you are heading to the other side of the Pennines then it is so often a different picture. If it’s sunny here then it wet there and sure enough it was wet here and sunny there. We arrived in Keswick at about 09:30 with driver Craig, Tinkerin’ Mick and myself setting straight to work on a puncture before I even put my bike on a trail, must have been something in Craig’s van. We had struck lucky today this was just the weather we had been dancing for all week and couldn’t imagine wanting to ride anywhere else. We had been seduced by the landscape on the way and agreed that we never tired of seeing the likes of Blencathra and Skiddaw and other heights on the journey that had stretched cloud clinging to the sides lit up in the morning sunshine. The carpark was empty and we set about gearing up. Though there was one key piece of gear missing today which was the Map! That was still in my bathroom. 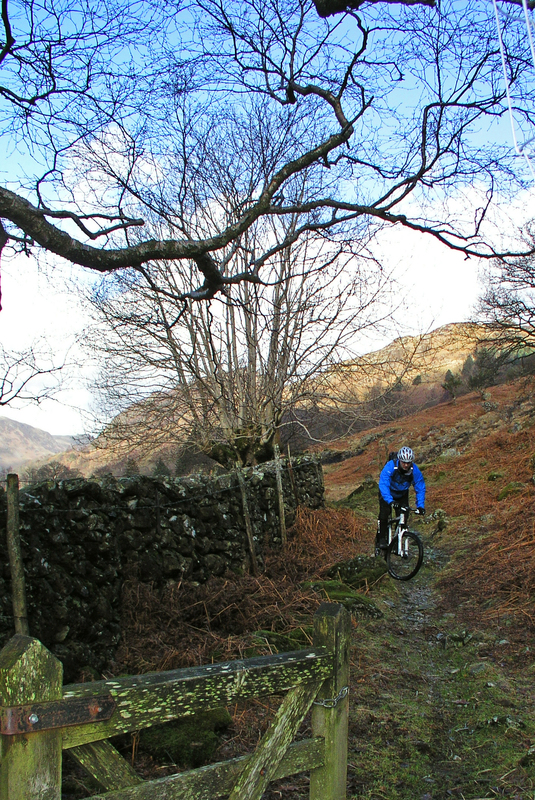 I know the Borrowdale Bash is a relatively easy to navigate ride but it always pays to take a map anyway. But all was not lost because I’d put the route into a GPS unit normally used as a backup would now take the lead in getting us round today. Padded up we set off south straight down the B5289 Borrowdale Road looking for the fork left that climbs steeply to Ashness Bridge. It was at this point I checked the GPS which seemed to fail in its attempt to see any satellites at all. I did worry too much at this point as Mick assured us that this was the only turn left on the road. 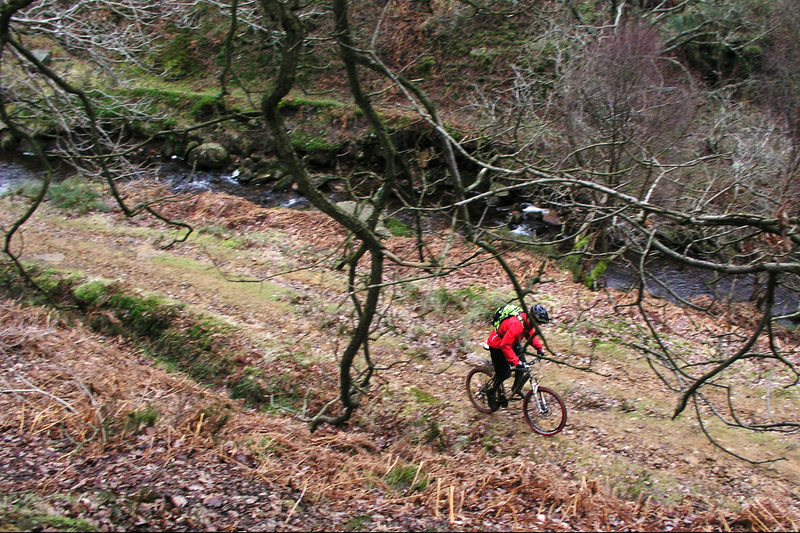 It was steep enough and felt about right so we pressed upwards into Ashness Wood on the narrow tarmac road. As we ascended Derwent Water was easily seen through the trees flat and calm, water was everywhere gushing becks from Walla Crag and Ashness Fells into the gullies at the road side. 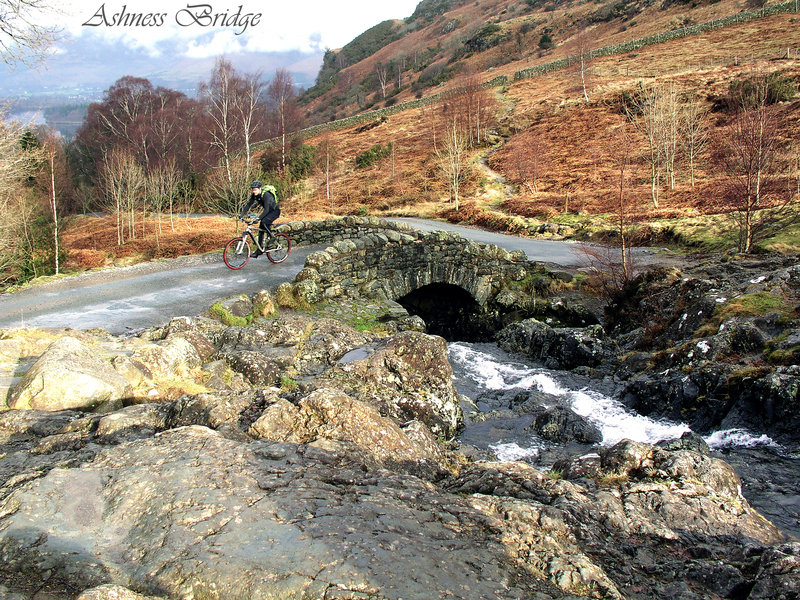 We continued heading south east toward the sunshine up to Ashness Bridge as spot that is probably one of the most photographed bridges in the Lakes. You’ll see picture postcards of it in any tourist shop. It was a nice spot and deserved a moment to take in the view from here and good time to catch a breath. We even posed for a couple of shots and Mick and I rode back down to ride back up over the bridge for the camera for the purpose of this diary of course. It's a picture postcard alright, look there's Tinkerin' Mick. Why aren't you smiling Mick? From here continued along the road beside Watendlath Beck as we passed Derwent Water we were now flanked by rugged outcrops on both sides, Brown Dodd and Grange Fell on the right and High Seat and High Tove on the left we squeezed through to Watendlath Tarn where we turned up steeply. There were two possible routes to choose but something told me it was always going to be the nastiest looking. Can only remember from looking at the map a couple days before thinking that’s going to a **** of a climb. 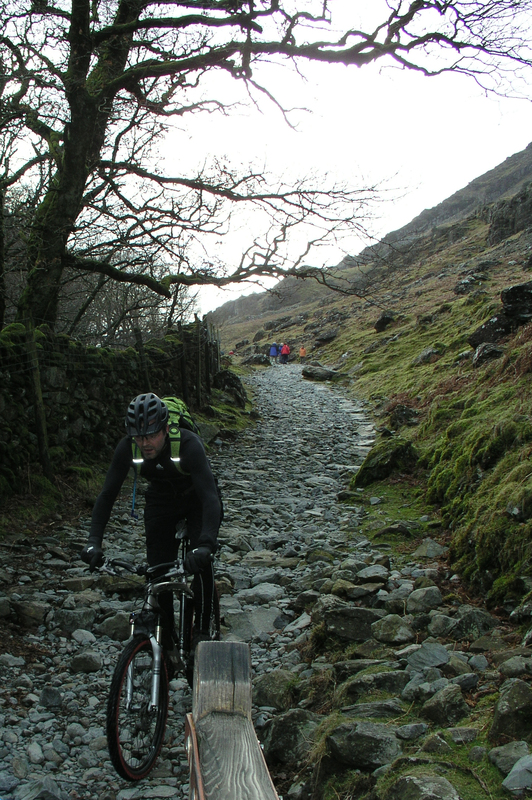 But couldn’t wait to get started because I knew the downhill drop into Rosthwaite was going to be a blinder. So picked a spot which was a step up, about a foot high that I thought I could peddle to without dabbing if I could make it over the step up then I’ll have done ok. It was a wide track so you could choose any line but the trail was well gnarly and baby heads all over the place rolled around. Grip was always going to be a problem in the wet. Maybe in the dry this could have been doable and more so with a better pair of legs. We all dabbed and got off and pushed and carried the remainder of the climb up to Brund Fell excited about the fall on the other side. Craig carried his bike like a handbag containing nothing but a lipstick such was the speed he ascended while Mick and I shouldered our bikes like a sack of spuds slipping a sliding along the way. When we arrived on top Captain Birdseye was out on a ramble headed towards us, all dressed in navy blue, his famous full white beard was immaculate as always, but today he was incognito because he was wearing his dark shades. I scrambled for my camera but couldn’t spark it up in time for a sneaky photo. Gutted! I love his fish fingers. Launch pad for a downhill blast and a puncture. At the top was a great view of Rosthwaite down below with Dale Head and High Spy filling the horizon. The trail set off smooth then as soon as it dropped it got super technical. 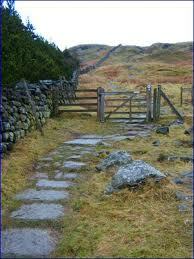 If you’ve ridden Garburn Pass then you’ll know what I mean. It was rideable in sections until you found yourself completely on the wrong side of the trail for the next rideable section. It then opens up a bit and was able to get on with the drop. Just when things felt like they were going well, everything went wobbly at the back then Craig pointed out I blew the back tire probably pinched on a rain bar which were the biggest I’ve seen and required a hefty bunny hop to get over them. We stopped for a tube change and some of Craig’s standard fair (fruit pastels) and an opportunity to chat on with few walkers going up. Craig threw me one of his excellent inner tubes that resembled a patchwork quilt. I was so surprised that I never held onto any air I put in it as he must have spent ages on mending it. Whilst I appreciated the kind gesture I had to make do with one of my own. 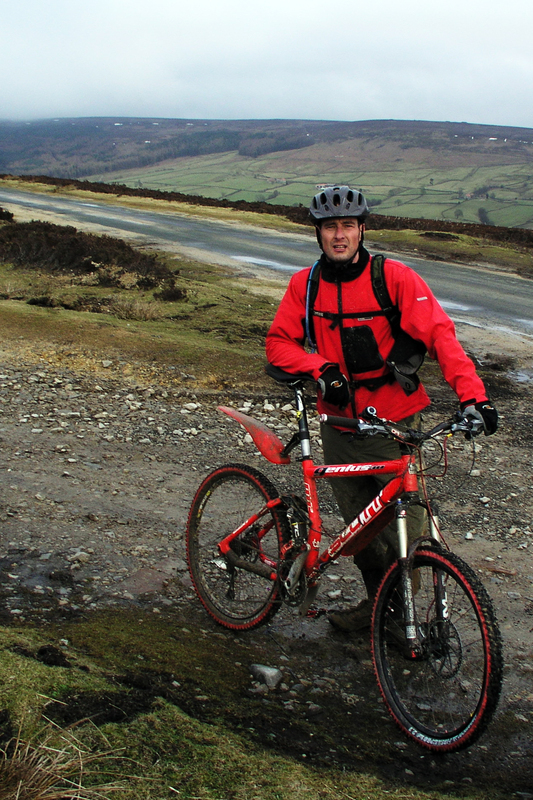 Craig was so good at carrying his bike up the fell he carried it down too. As I was pumping hard on the rear wheel a couple of fell running lasses came bounding up through the rocks. Mick sniffed them through the trees before either Craig or I saw them but as they got closer we could see why. I swear one had a beard and the other was built like a monster truck, she was in front and nothing was getting in the way. She didn’t even have time to say a cheery hello. But the Dave Lee Travis look alike at the back with side burns, she was friendly enough. I kept pumping to myself and thought my forks looked a bit saggy so chucked a bit of air in there too. We negotiated our descent to Rosthwaite across becks and through gates of course until we arrived at the smelliest tea shop…………………. in the world. At this point I knew the GPS link up with Sputnik was no go and resorted completely to memory of Memory Map from nights before. We need to head into Honister Pass which then turns back to skirt Dale Head before it heads north. We could clearly see a gully and figured that was Honister Pass so stuffed in some malt loaf and headed off along what looked like a very mountain bikey sort of trail. It felt right until we started climbing on grass then G.O.A.P and carried until we could eventually see our error. Sorry my error. Mick got out his phone he’d borrowed from James Bond and attempted a call to Sput Nick to see if he could figure out what had gone wrong. 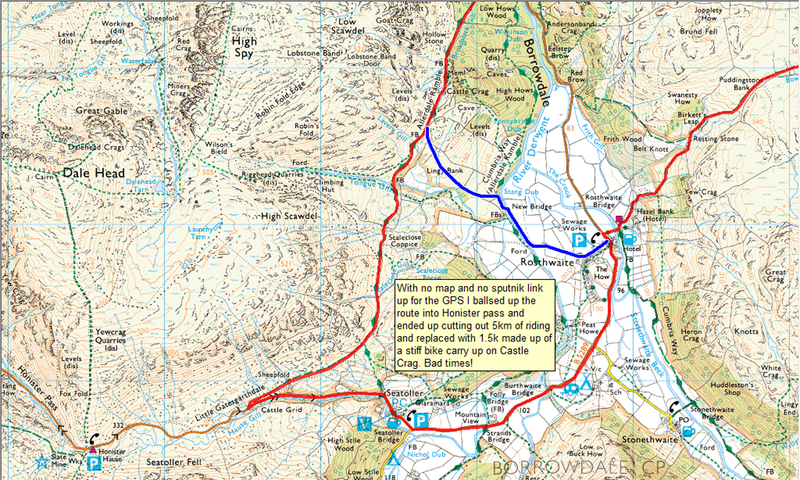 But it was fairly clear now that Honister Pass was further south and we’d short cut the route by heading up Lingy Bank on footpath up onto Castle Crag where we should have headed into Seatoller from Rosthwaite. Still we pushed a second time up onto the Bridleway at Castle Crag. This was a good looking trail which soon changed character as it falls through Low Hows Wood. Another big wide trail where a light front end was needed to avoid any over the bar rapid dismounts. It was one of those where you wanted to be clipped in and at the same time you didn’t so dropped down with one in and one out just in case. It was cracking drop. I didn’t ride it as fast I would have liked it was just too gnarly and kept saying to myself stay off the brakes, let it roll. I had everything I needed for this trail except the skills to blast down it. It was one of those trails that you could stand and talk about all day debating how to ride it. But I was pleased I only dabbed at the point I caught Mick up who was getting a good seconds taster for Lakeland trail riding. Craig seemed to enjoy it too and we all piled up at a gate where a few wrinkly walkers cheered us down to the gate. Both Craig and Mick admitted to a couple of light offs on the way down but nothing major which was good because a big fall on this trail could be nasty. We pushed on toward the Grange feeling like we’d seen the best of the ride and poodled along some roads looking out for the next turn up left to ride under Catbells. I was looking forward to this bit the most because it typifies what this ride is all about which is a ribbon of single track clinging to the fells with Derwent Water way down below. We picked up the Allerdale Ramble trail after a conflab about how we got onto it via a footpath and cursing the fact I left the map on the bog. Mick and I agreed (kind of) that we need to use the footpath to get onto the bridleway. As we climbed we could see were the two parted and felt better about our lack of proper navigational equipment. 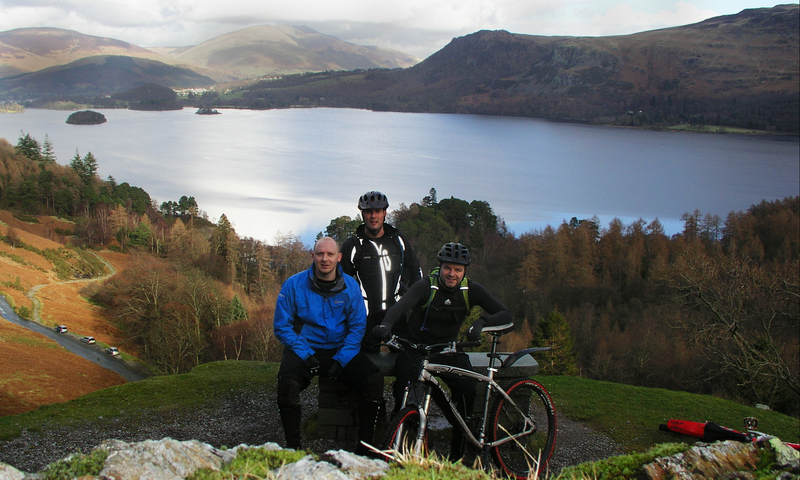 More photo opportunities presented themselves as we overlooked an uninterrupted view of Derwent Water. I set up a group shot to remind us of what we all thought was a good ride out in perfect conditions. The TRON suit is not a good look! Unlike the last ones where we couldn’t wait for the ride to end this one was anything but. We cut this one short and missed a good section though only lost a couple of miles, I think it was a good trail missed though. But the last of the Borrowdale Bash was still ahead and what a great finale; super fast with little kickers thrown in for some long jumping. Does Mick look like a spider? Craig blasted down while I sat just back from his shoulder not heroic enough to try a narrow pass. He knew I was there but wasn’t giving away his line. One erratic move from Craig would have had me I the lake so I sat there pushing the big ring, both of us at full tilt to Hawes End. Mick wanted to go back and do it again. No one would have argued with that idea. In fact by the end we all agreed we should come back and do it all again, we seemed to get back too early at 14:30. Shall we go round again? 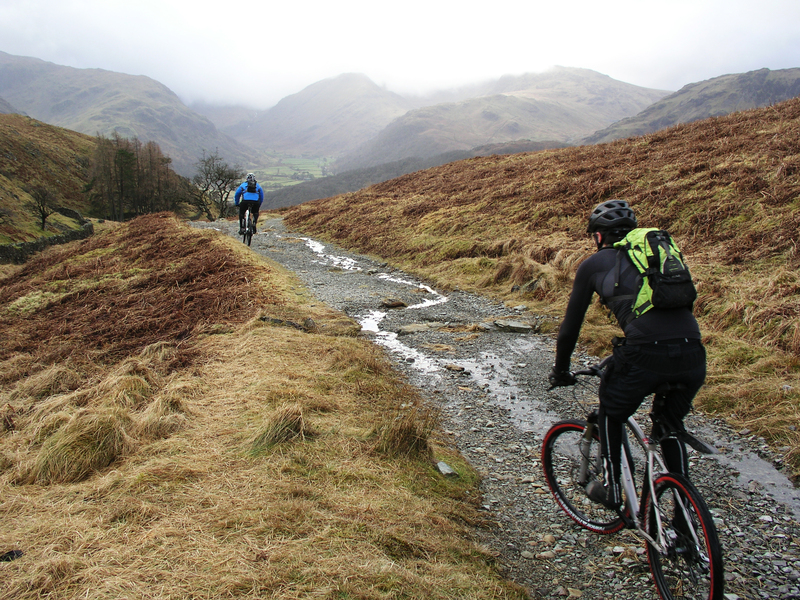 The Borrowdale Bash is one of the best known mountain bike routes around and still stands as one of the best even when you do miss out the good bits. It will always be there so we are going back hopefully we’ll bring a few more along for ride. G.O.A.P onto Round Hill through low cloud at 450 meters. which was a G.O.A.P (get off and push) affair up a gully that was frozen solid reminiscent of the ride with Craig last month. Once up, the Cleveland way was immediately recognisable with its distinctive limestone sand; normally hard packed in dry weather, but not this day! Mick taking a break in Cockayne....wearing a skirt? Cold feet quickly ensued. 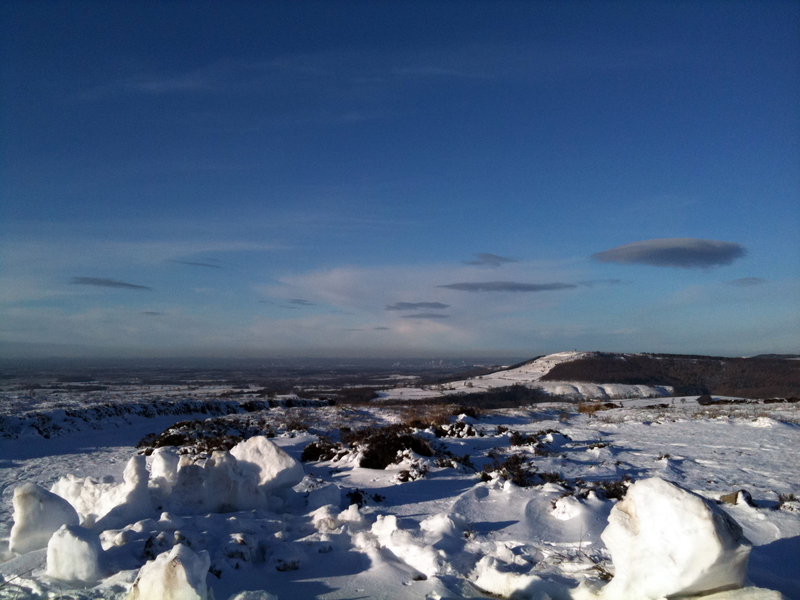 The wind was strong at around 25 – 30 miles per hour but didn’t mind so much as it was behind us on the Cleveland Way. Once we reached Bloworth Crossing as do so many routes in this area it seems, I knew that in around 4 miles we’d drop down off the moor at Ouse Gill Head into the little hamlet of Cockayne, pronounced cocaine. “This downhill section is always fun whatever the weather”, he said. As the drop turns back we faced the prevailing winds and found I couldn’t quite muster the speed I wanted to get the most out of the decent. It was still a good blast but could have been better. Mick said he found himself peddling hard just to come down and felt sketchy. Cockayne offered some respite from the wind so we took on some munchies and fuelled up for the climb up onto Bilsdale East Moor where if the wind had previously been cheering us on until now, then we were in for a good kicking as we turned north. Ride fit Mick pulled out a steady lead; such was the head down approach required. It was everyman for himself here. The icy north wind was bitter and quickly took hold of my extremities. I began to think about moving my toes around to muster the circulation, but made little difference so instead thought about a hot shower and roast dinner. But that would be hours away. I was dropping back and wished I could push a bigger gear but I the climb up here had taken the best of my legs for today and could only spin what felt was enough to just get along, catching Mick was not going to happen. I needed some commuter miles under the belt and realised that my lack of rides this month had taken its toll. 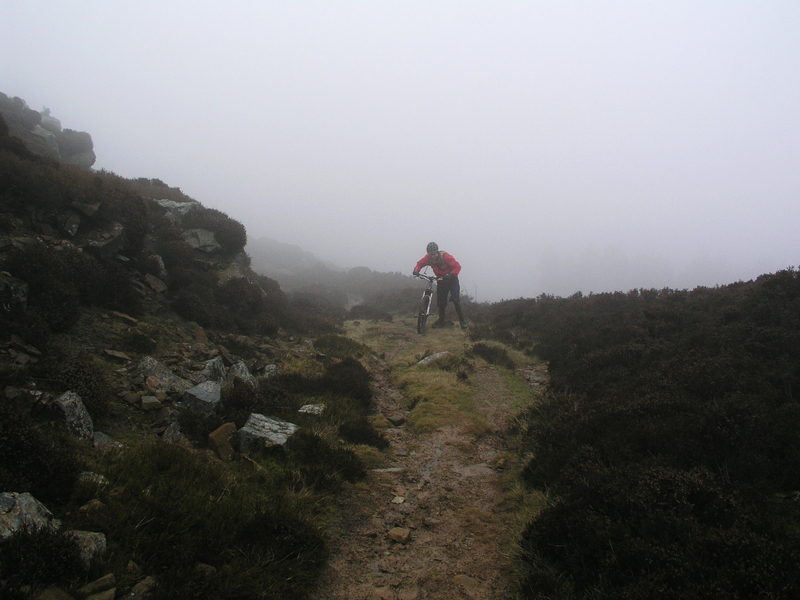 The trail would eventually turn east and then drop into a fast switchback sections in a staircase effect into Tripsdale which was apt as Mick dived into the heather while climbing up the other side due to some technical unclipping mishap. The grit stone was penetrating every component and though overall the bikes performed better when their riders. I was loving the new found plushness of my Revelations fresh back from TfTuned and the XTR duel shifters were faultless and so light to shift gears. Mick climbing out of Tripsdale still pushing the big ring....doh! Mick was destroying his bike with no lube on his chain, having rushed out this morning after giving his Spesh a quick wipe down from the ride home from work. As the ride entered its final phase the sounds of an unlubed chain were clear. The hardest part of the ride still lay ahead. We turned off the wide sandstone path into the “classic single-track” section which was going to prove a test of Micky’s Mettle. This time I took the lead on the techie narrow trail this cut a very almost invisible ribbon though the black heather. 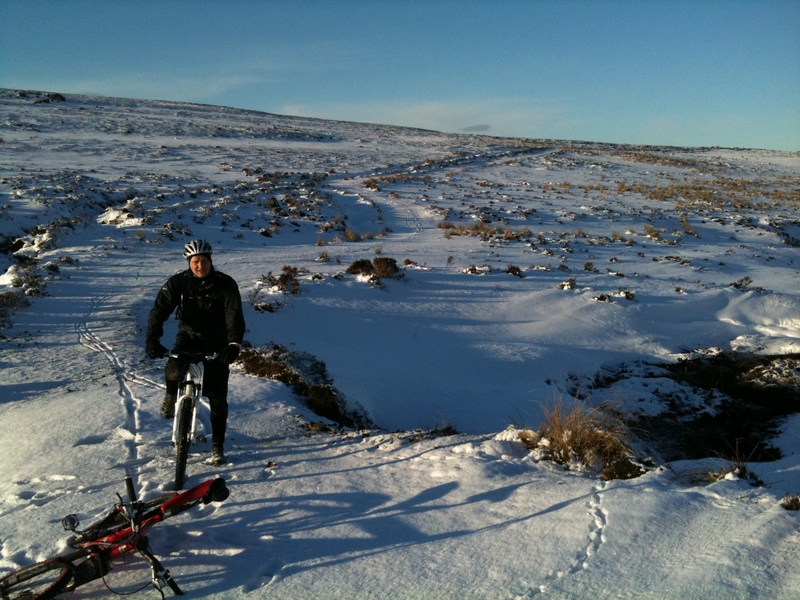 The ground along the bank of Urra Moor was icy enough to ride, any ride in the temperature would have made this section almost impossible, it would have simply been too soft and boggy. Along the way we both made a few rapid dismounts, again unclipping required too much effort. One mistake on raised single-track would have you tumbling down the bank, still clipped in lying upside down in a ditch. Luckily none of us were seriously injured thanks to the softness of the ground and relative comfort of the surrounding heather. Any excuse for a rest though as we seemed to linger on the deck for a longer than usual. We eventually rocked up to Clay Bank welcoming its solid track with a huge sigh. This is a fun section of slippery steps requiring nerve, an arse that can drop way back over the rear wheel with a feathered rear brake. Keep the front end light to avoid any endo style over the bar dismounts and you’ll clean it all the way down. I enjoyed it and felt pleased I made it down without any dabs onto the road and waited for Mick. He felt it was best to walk down as he closed the last gate, just hadn’t quite gained the confidence yet. It takes time I guess and no doubt knee and elbow pads would have helped to encourage Mick to give this stuff a go next time. I don’t blame him for being cautious after having broken his wrist and split his knee on the last two outings with me. His lass would have murdered me if he’d gone home broken again in some way, so I’m pleased he played safe today. It was a tough ride out, in very unfavourable conditions and frankly we were pleased to get back to the car park. 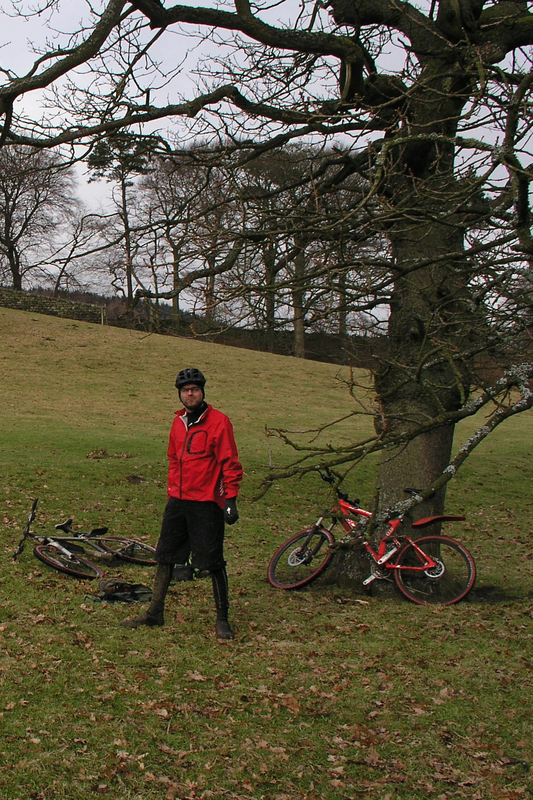 Today was a test for me in terms of ride endurance; I’ve got to get some ride time in before Borrowdale. Mick out- peddled me today for sure.